We recently rolled out a Social Media update to our twitter feed where we now include the place or business name and the city and state in the sharing tweets when users write reviews. This will help expose the tweets to search engines as users search for a business by name and city. 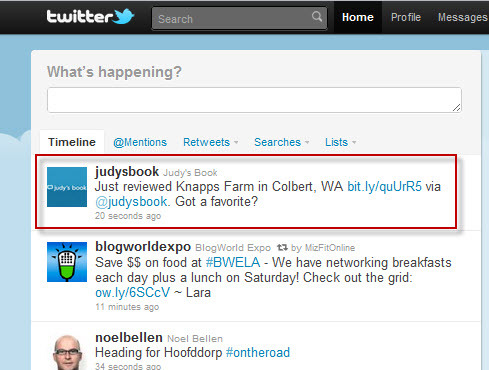 Once on the Tweet the user can click the link to view the reviews on Judy’s Book. 2. User Shares tweet of place review. 3. 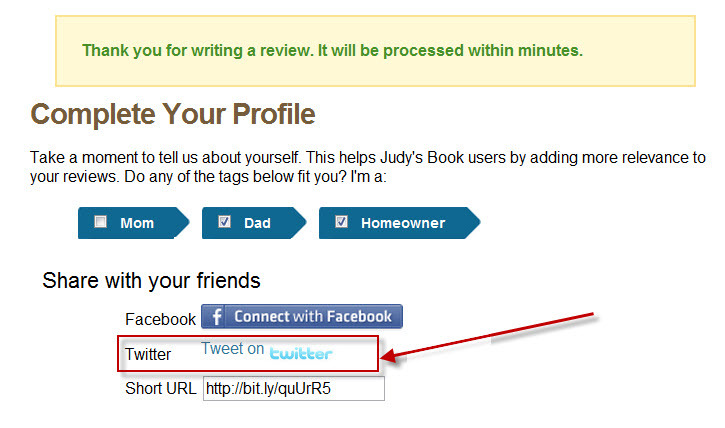 Twitter followers and other users view tweet and click link to read the review and other business information. 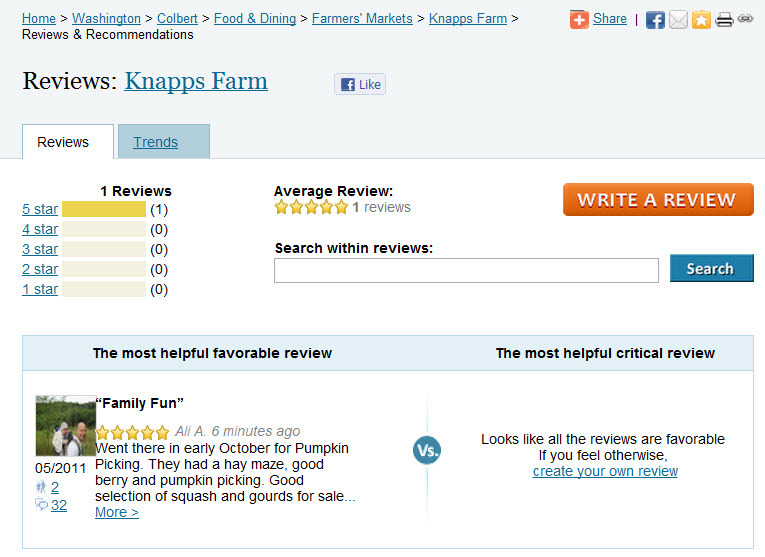 This entry was posted in Judysbook on October 13, 2011 by judysbookblog.